Tomato, basil, and balsamic vinegar make a delicious topping for this Italian-style chicken bruschetta dinner. 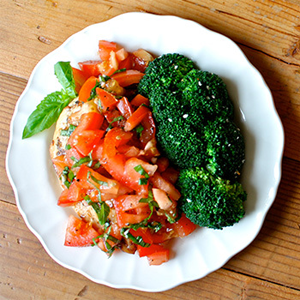 Combine tomato, basil, garlic, oil, vinegar, onion powder, salt, and pepper in a medium bowl; mix well. Set aside. Preheat grill or broiler on high. Grill or broil for about 4 to 5 minutes on each side, or until no longer pink in the middle and juices run clear. 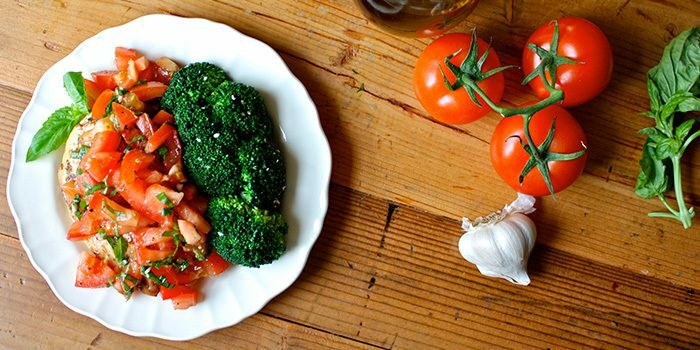 Top chicken with tomato mixture.